Like a dirty old dog, you'll either love it or hate it! 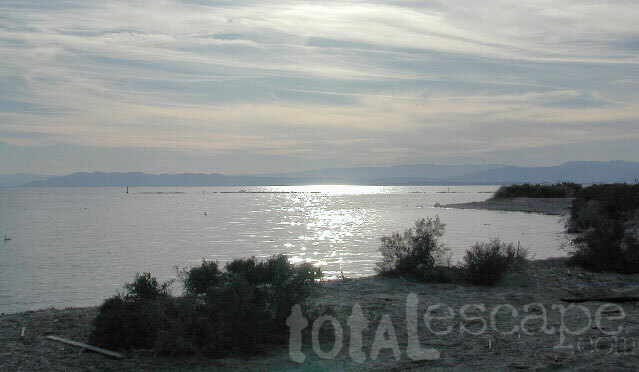 The Salton Sea is at the very least, a 'must see once' kinda deal. 228 feet below sea level, this place spans the top edge of the Imperial County line & can be seen from Mount Laguna in Cleveland National Forest. The shores are dotted with campgrounds, an over abundance of RVs & mobile home parks....you'll be scratching you head wondering. 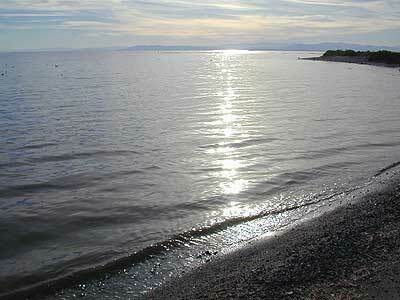 There is a small community called Bombay Beach, where the name sounds better than the actual locale. One of the world's largest inland seas, Salton Sea was created by accident when a dike broke during the construction of an irrigation canal in the early 1900's. The Colorado River can be oh so powerful. This 360 square-mile basin is a site for boaters, racing, wakeboarding, water-skiers & anglers. And this large body of water is only miniutes from the largest State Park in the nation, Anza Borrego Desert, just a short drive from Borrego Springs. This disaster stretches 35 miles long with over100 miles of shoreline, the sea is, believe it or not, one of southern California's most popular boating areas. 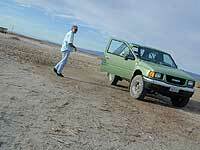 Birdwatchers & visitors, can enjoy the site's many recreation opportunities. Because of the sea's low altitude, atmospheric pressure improves speed boat & ski boat engine performance. Fishing: ocean corvina, gulf croaker, tilapia & sargo. I would like you to believe that this RV camped along the east shore is set up with his telescopes for optimum night time stargazing. But in reality it is a televison satelite dish. 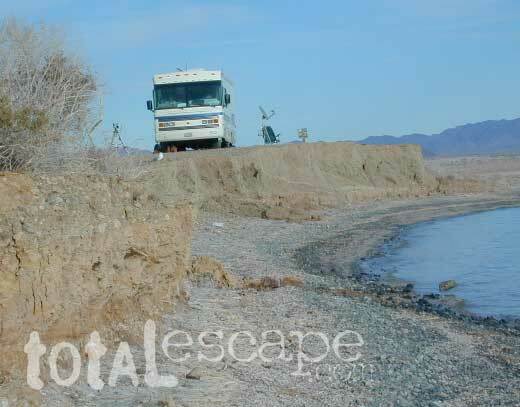 If you need a real adventure, try to locate the infamous SLAB CITY, a mobile city, camping community set out in the rugged wastelands near SaltonSea. Slabbers, snowbirds, RVers, geriatric gypsies, rainbow kids, hippies, burners, off-roaders, random campers - no water, no phones, no electricity. Self sufficient camping a must. Population reaches 5000 in peak season, winter months. Many return year after year. 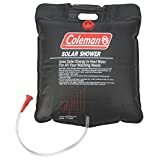 Be warned, summer temps hover in the triple digits. NOTE: Primitive camping options along this shoreline can be hazardous. Certain areas we found to be very littered & are in dire need of a major clean up. Why go to the dump... when you can bring the dump to the beach? 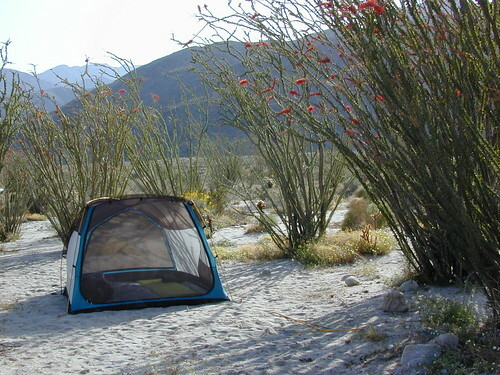 ESCAPE MARCH MADNESS: this is epic springtime, wildflower camping in the ocotillo gardens of Coyote Canyon (near Borrego Springs, East of the Salton Sea). Anza Borrego Desert Park has open, free, primitive camping on nearly any dirt road. Some routes may require 4x4. The super scenic park allows backcountry car camping - as long as your campfire is contained within a steel tub and you take your burnt ashes withn you.